Moving is one of the most vulnerable moments in a person’s life, and you need to be able to trust the people you hire to move your stuff. We won’t tell you to hire us (even though you should), but we will give our best advice on how to vet potential moving companies. If you want to find movers that you trust, why not ask the people that you already trust? Ask friends, family members, neighbors and coworkers about their moving company recommendations. Trusted sources will gladly share their moving experiences and help you determine who you should hire and who you should avoid. If you don’t have time to individually seek out recommendations from friends or live far away from family, query social media contacts or look for opinions on neighborhood or community forums. Community Facebook groups or sites like nextdoor.com are the perfect spaces to request recommendations from other local folks. 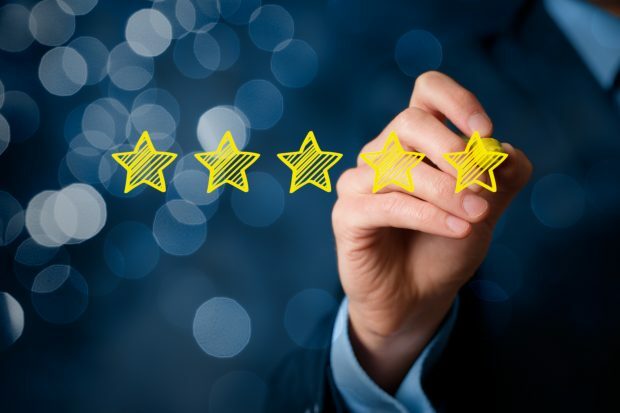 Many companies include customer testimonials on their own websites, but those are probably hand-selected reviews which are positive, of course. Don’t be afraid to dig a little deeper to check out other review sites like Yelp, Angie’s List or the BBB. We are both proud and humbled by our five star rating on Yelp and our A+ rating with the Better Business Bureau. If the moving company you are vetting has an online presence, you can check out their interactions with clients on social media channels. Read reviews on Facebook and observe how the company interacts with others on Twitter or Instagram. Are the social channels full of disgruntled customers complaining or grateful clients? Companies that take the time to insure their business and follow best practices are not fly-by-night operations. We understand that our clients deserve peace of mind. That’s why we provide proof of insurance to every client we serve. We cover all four major areas: general liability, auto liability, cargo liability, and workman’s comp. Here’s the deal. Everybody’s stuff is different. Whether you’re moving from a third floor apartment or a mansion in the hills, we’re confident we can serve you. Moving companies will price their moves differently, some will charge by the hour, some will charge based on the weight, some will have fees. We are passionate about our transparent pricing, as well as having no hidden fees. You should fully understand how your moving company charges and be completely comfortable with them. Our transparent pricing is fair and square. We want to be your Austin moving company and are happy to answer any questions you may have. Let’s have a conversation about your next move! Square Cow is proud to support the environment with our packing and storage boxes made from 100-percent recyclable cardboard. © 2019 Square Cow Movers.